Simple, stately and superb; rock your troubles away on this classic piece of A-Grade Teak furniture! Due to huge demand, the infamous Granny Teak Rocking Chair is back in our showroom and ready for purchase now! Traditional in style, with a beautiful solid A-Grade Teak frame, the Granny Teak Rocking Chair is a classic addition to any home. 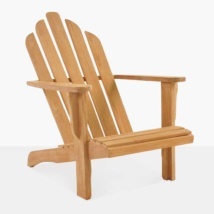 With a tall back featuring long pieces of teak running vertically down the piece and comfortable, wide arm rests this piece of outdoor furniture is just begging to be sat in! W26" x D32" x H42"
The Granny Teak Rocking Chair is constructed with marine grade glue and fixings and made from the finest A-Grade Teak, recognized for its long lasting and durable nature. A-Grade is the highest grade of teak you can get, once a teak tree is over 40 years old, cut down and kilned properly, it is given the ‘A’ Grade. This is because the teak has had enough time to gain high levels of natural rubbers and oils, ensuring fabulous looking and long lasting outdoor furniture. At Teak Warehouse, you have 100’s of items to choose from; whether you need loungers, deep seating, umbrellas, dining sets or relaxing chairs like the Granny Teak Rocking Chair; we have it all under the roofs of our three California Warehouses! Not local? We ship nationwide, offering premium white glove delivery service we can ensure that the items leave our warehouse looking perfect and arriving at your home in the same flawless state! As well as amazing A-Grade Teak we also offer a fantastic range of marine grade, weather proof products. Peruse our website for excellent stainless steel and teak tables, steel and mesh chairs, a huge variety of all weather wicker as well as Sunbrella® cushions and umbrellas. You will be impressed by our fantastic selection. If you need assistance configuring pieces our sales assistants are only a phone call away! Call our 1-800 number and we can work together to find an incredible setup for your wonderful garden. 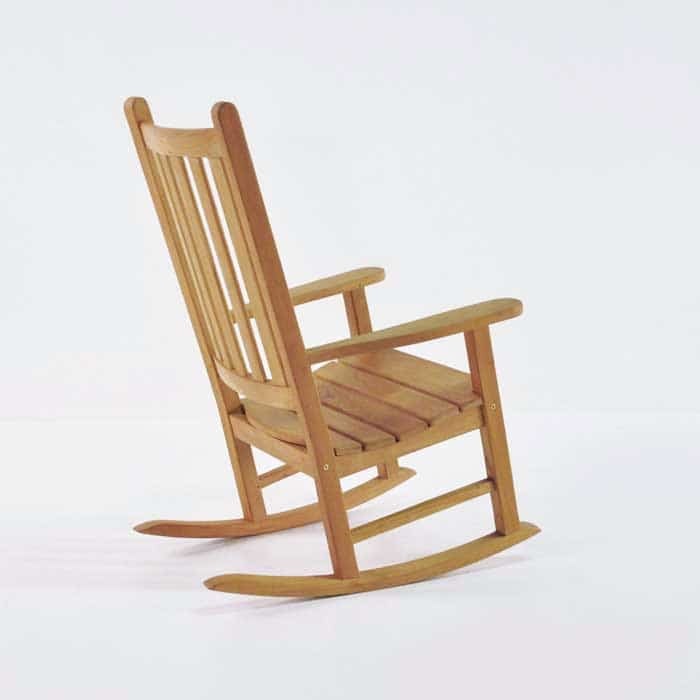 Relax in complete comfort on this traditional rocking chair. The Granny Teak Rocking Chair is the sort of piece you can imagine cozying up in with a tartan blanket, a hot chocolate and a book on those cooler fall evenings. 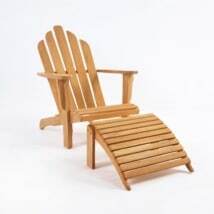 Whether placed on your porch for a traditional look, complete with basic side table and a glass of wine in hand, or in your garden or backyard patio, the Granny Teak Rocking Chair is an ideal piece to keep you in sublime comfort for years to come. The Granny Teak Rocking Chair is part of our range of quality relaxing chairs; tall and elegant, the Granny is true to the old fashioned, charming rocking chairs you’d see on porches in the country! 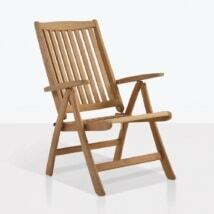 If you are after something slightly more modern, see our other Rocking Chair for a wider chair with a lower back. 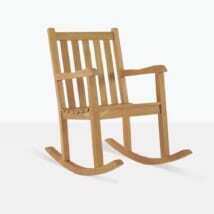 The Granny Teak Rocking Chair can be nestled in with side tables or placed on their own to make a simple statement. If you like the idea of something a little different; opt for one of our wicker relaxing chairs with an ottoman for similar comfort with a different look. 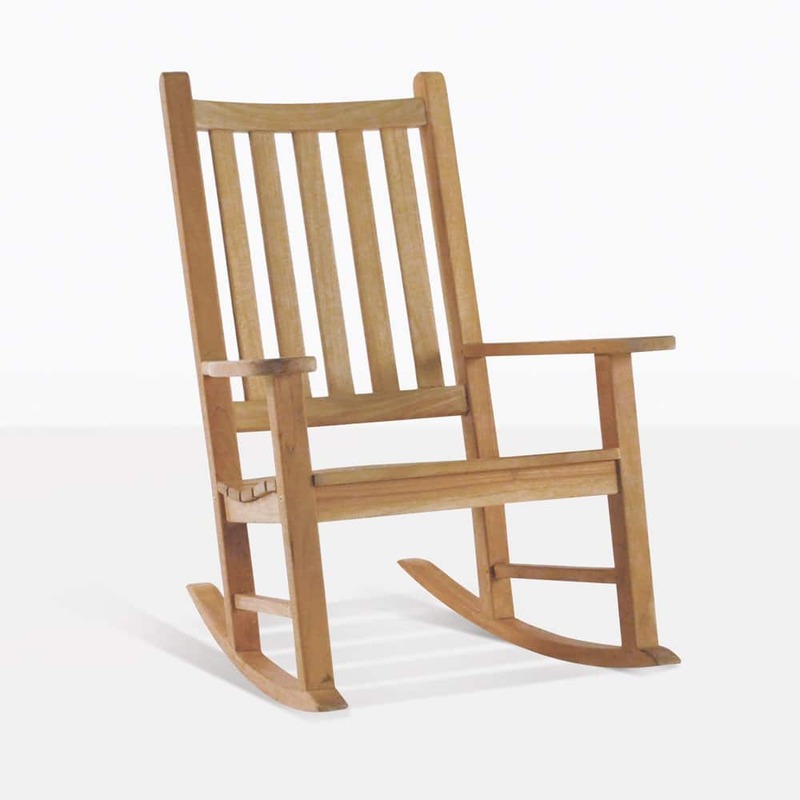 The Granny Teak Rocking Chair is in stock and ready for pickup or delivery nationwide! Get ready to enjoy hours of the simple life in this beautiful, classic and comfortable rocking chair!